We are definitely in for a treat - Bruce agreed to make the "trek" to Waxahachie from his home in Athens, Texas. A very popular instructor, Bruce conducts workshops and classes in his studio, just a short walk from the main house which is a 5-bedroom B&B, offering luxury overnight accommodations during workshops. Born and raised in Oklahoma he now resides in Athens, Texas. 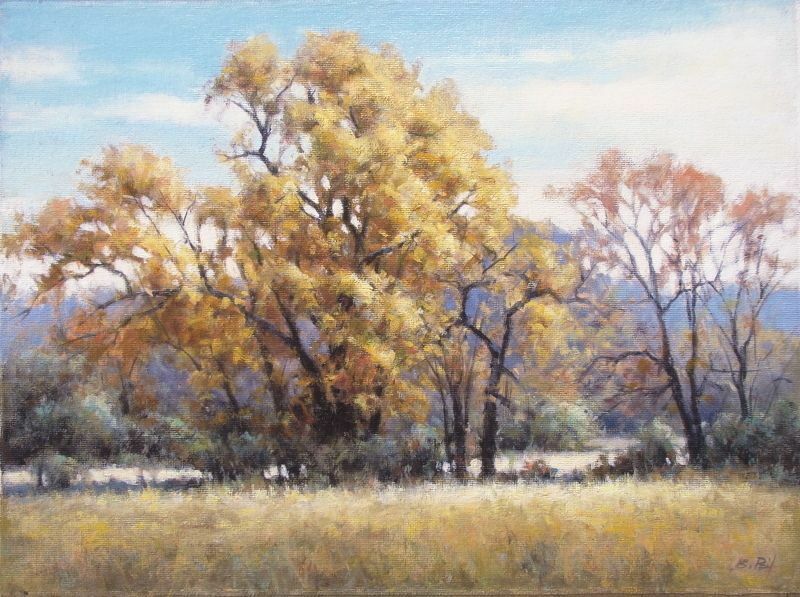 He is a signature member of the Oil Painters of America, the co-founder of the Outdoor Painters Society, and a member of the Oklahoma Society of Impressionists. 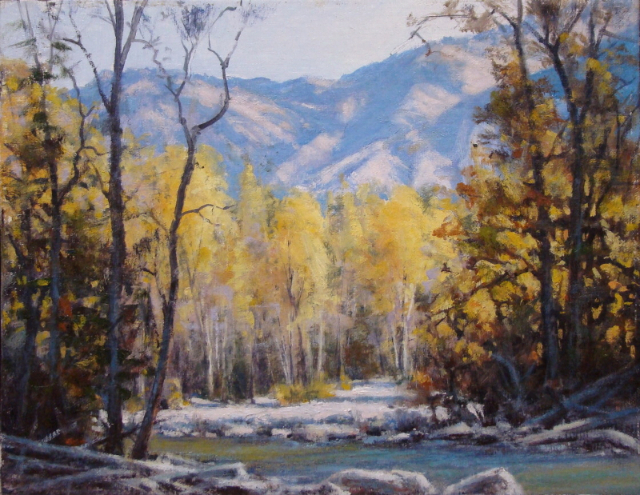 His paintings are widely collected and he is primarily known for his landscapes. "No matter what the subject matter is, it's that fleeting moment in time and the particular feeling of the light that I strive most to capture in my paintings. I want the viewer to feel as though they are experiencing that moment in time. My goal is to capture the truth about the subject without over embellishment of color or too many unimportant details that can distract the eye from the main idea. The light." 2014thru2017----Haley Memorial Library Show & Sale, Midland, TX. PLEASE COME AND HELP US WELCOME BRUCE TO WAXAHACHIE!